Figure 22. Driver depth sounding device. 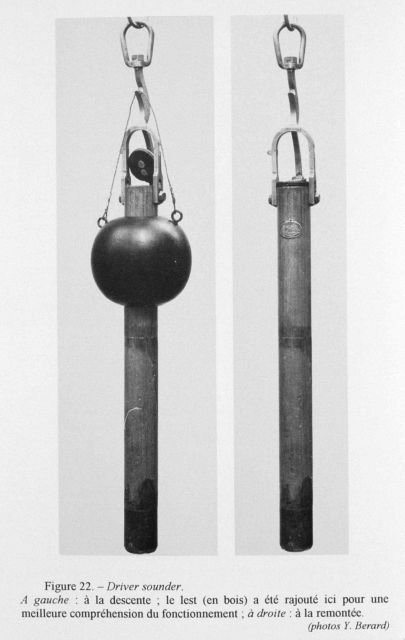 This sounder was used by the British Admiralty and was very simple to maintain and use. Little is known of its history; it is first listed in a catalog of instruments in 1896.